Hold the brake caliper guide pin stationary and remove the brake caliper guide pin bolts (1). 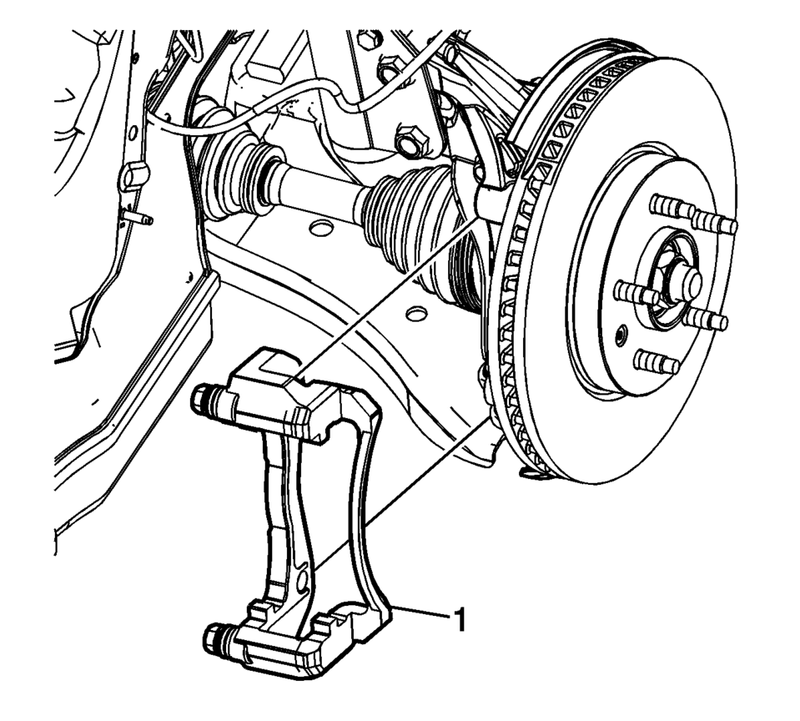 Remove the brake caliper and support with heavy mechanics wire or equivalent. Note the location of the wear sensor for correct installation. 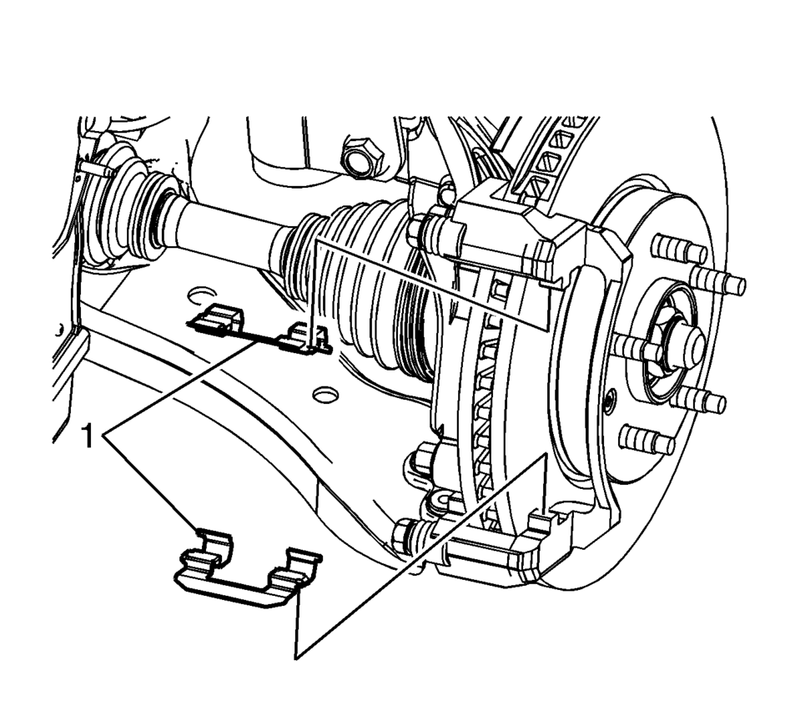 Remove the inner brake pad (1). 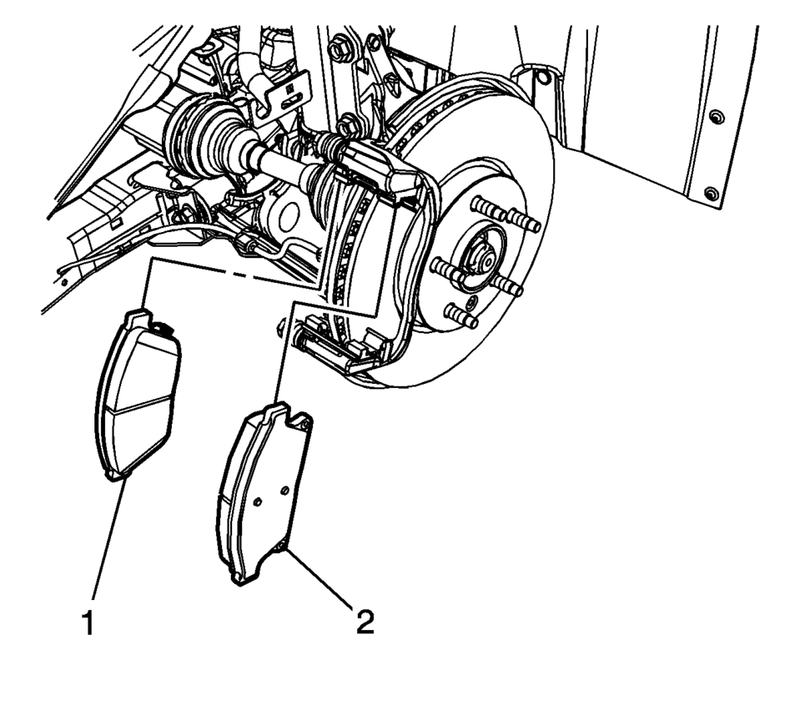 Remove the outer brake pad (2). 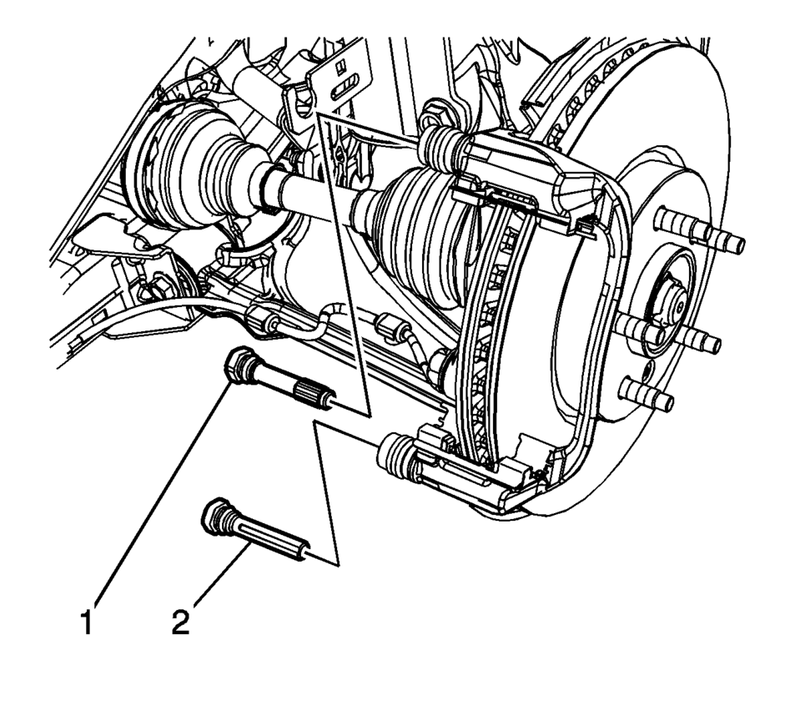 Remove the brake pad springs (1). The upper brake caliper guide pin is equipped with a bushing and must be installed in the same location. 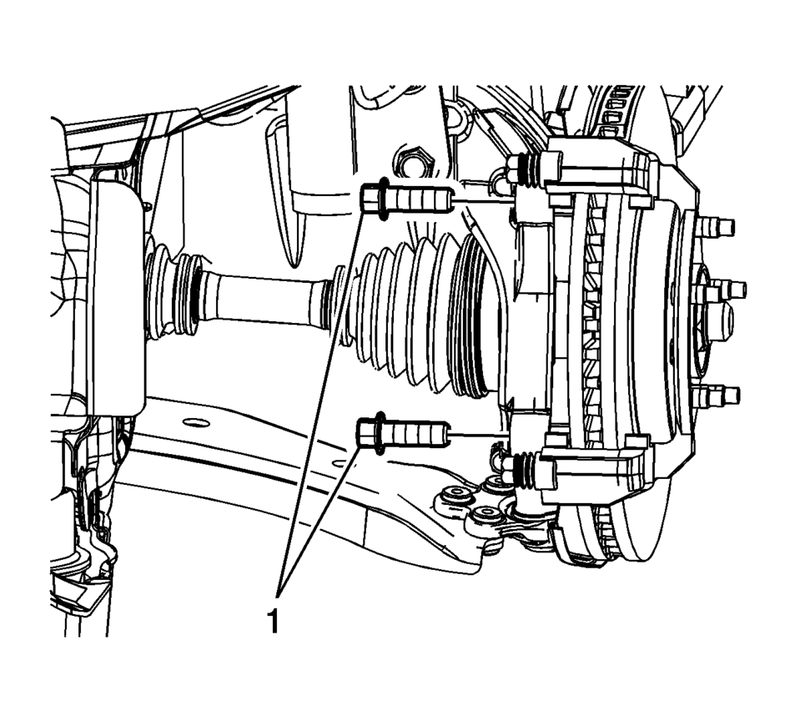 Remove the upper brake caliper guide pin (1). Remove the lower brake caliper guide pin (2). Remove the 2 brake caliper guide pin seals. Remove the brake caliper bracket (1). Install the brake caliper bracket (1). Install the brake pad springs (1). Install the 2 brake caliper guide pin seals. Ensure the brake caliper guide pin seals are fully seated in the groove of the brake caliper bracket. Install the upper brake caliper guide pin (1). Install the lower brake caliper guide pin (2). Ensure the brake caliper guide pin seals are fully seated in the groove of the brake caliper guide pins. 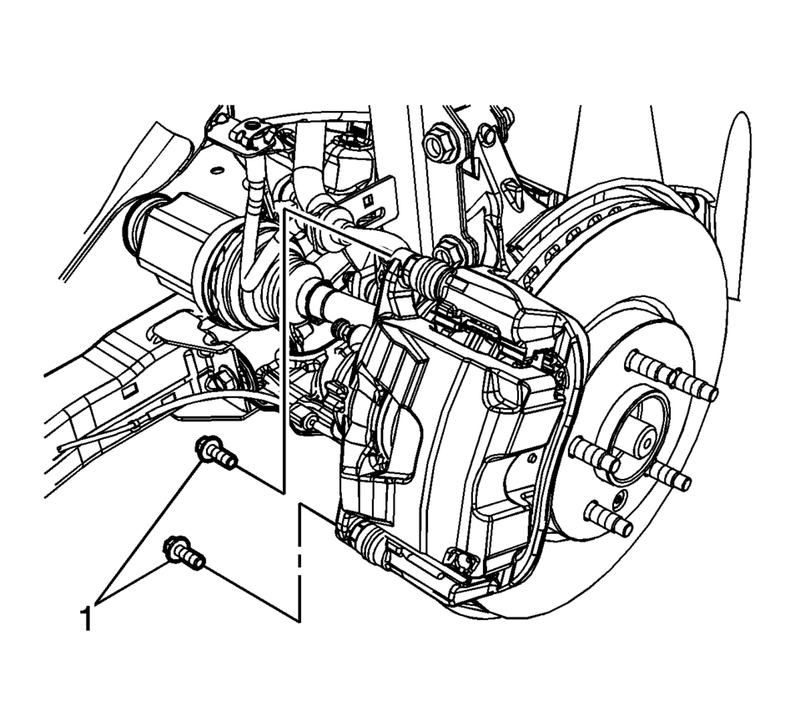 Install the inner brake pad (1). Install the outer brake pad (2). Position the brake caliper over the brake pads and to the caliper bracket.